Get a taste of the Amazon Rain Forest in Iquitos. Get to know Cusco and the Sacred Valley. Explore Machu Picchu while experiencing Inkaterra Machu Picchu Pueblo. 3 Nights at the Treehouse Lodge in the Peruvian Amazon. Then, enough time to explore and relax in the Sacred Valley of the Incas. 2 Nights at Machu Picchu. Perhaps the perfect trip throughout Peru. Without needing to rush, travel from the Amazon to the High Andes. Perfecto! 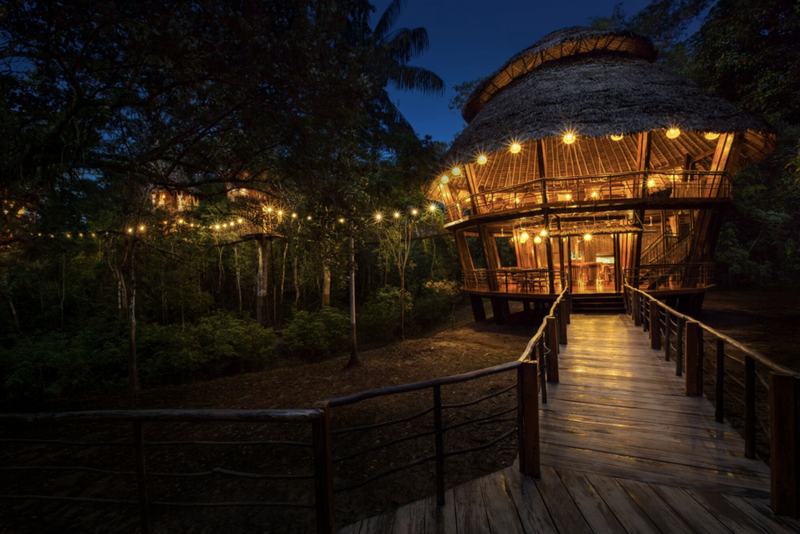 Nestled in the heart of the Peruvian Amazon, Treehouse Lodge is one of the most unique properties in the world. Choose between 11 treehouses situated between 40 - 80 feet above the jungle floor. Experience one of the most biologically diverse areas in the entire world as you search for sloths, monkeys, pink dolphins, piranhas, and more. Known as one of the most culturally diverse countries in the world, Peru has something to offer to everyone. From the Amazon rain forest in Northern Peru, to the coastal desert and gastronomy of Lima, to the high Andean peaks of Cusco and Machu Picchu, you're bound to fall in love with something during your trip to Peru. We want you to experience Peru the way it was meant to be experienced. We've build our tours around avoiding crowds (when possible) and ensuring that you experience the authentic Peru. We also partner with local, boutique hotels and restaurants so you can get a taste of what it's like to live in Peru. We love working with Inkaterra and for a lot of our guests that is the highlight of the trip. A trip to Peru is a 3-for-1 deal. You'll experience the biological diversity of the Amazon Rain Forest, the gastronomy and temperate climate of Lima, a Coastal Desert, and the world-famous stunning vistas of the Peruvian Andes, featuring Machu Picchu, Cusco, and the Sacred Valley of the Incas. It is literally the best possible scenario for expanding your mind and experiencing an Inca-redible culture. Now is the perfect time to start planning the trip of a lifetime. Click the button below to start the conversation.